Être à la bourre | One quality, the finest. 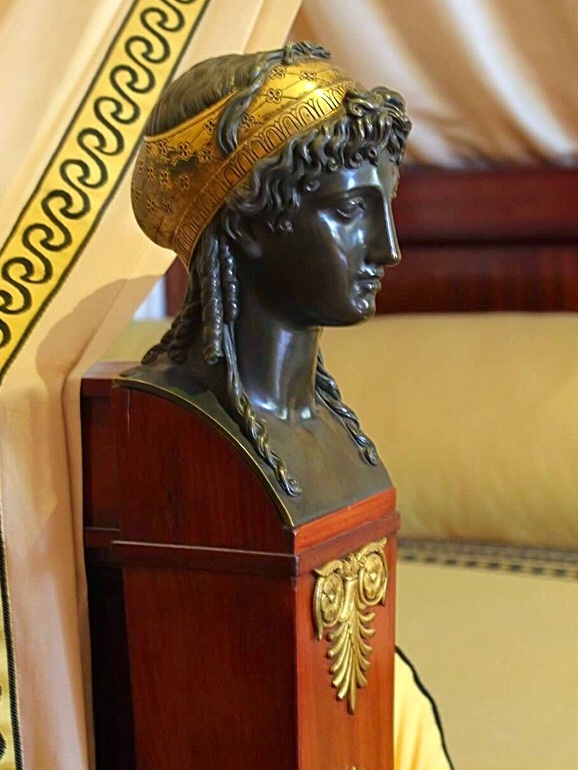 After having visited several exhibits dedicated to Napoléon and Joséphine in recent years, it had been on my mind to visit Malmaison, Empress Joséphine’s home on the outskirts of Paris. It’s easy to get to; from La Defence, take bus 258 to the stop marked Le Château. From the bus stop, it’s about a five minute walk from the bus stop to the château. Admission includes an audio guide and access to the house and gardens. 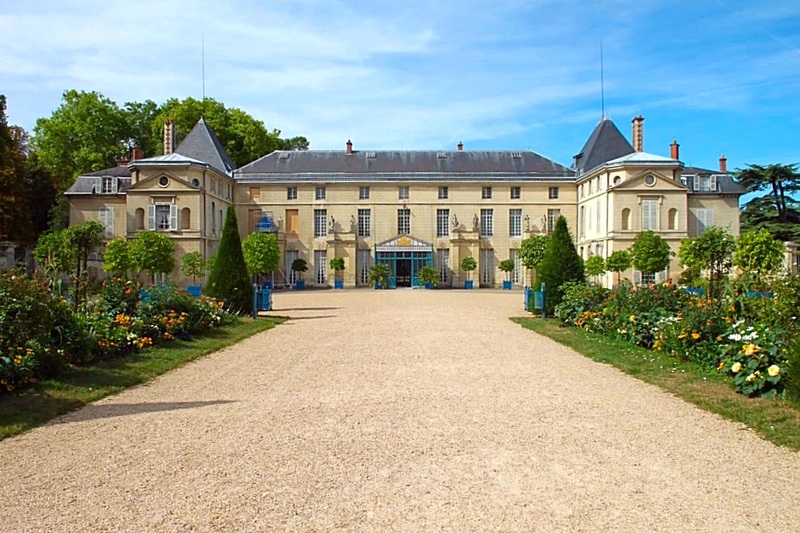 Joséphine de Beauharnais bought the house while her husband was off fighting the Egyptian campaign. When Napoléon came home, he was not too thrilled that his wife had purchased a money pit several miles from the heart of Paris. Joséphine lavished attention on the gardens as much as the interiors, bringing exotic plants and animals to Malmaison. She hired the Belgian artist Redouté to document the 250 varieties of roses that grew in the garden. After Napoléon divorced her in order to re-marry in the pursuit of an heir, Joséphine received Malmaison and a significant annual pension. She died very suddenly after taking a chill due to walking in the garden. 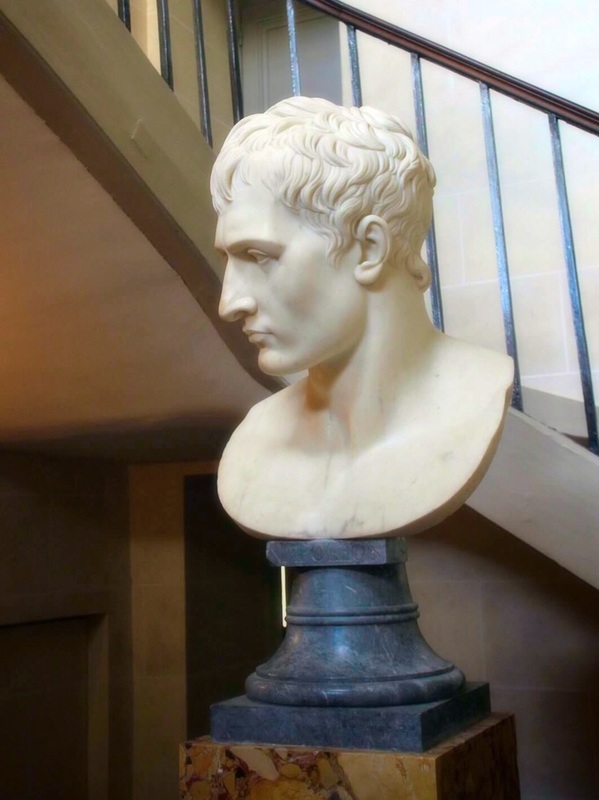 When Napoléon lost at Waterloo, he spent his last few days of freedom here, no doubt wandering the halls and thinking of better days spent with Joséphine. Malmaison has been open to the public since 2005 after some extensive restoration work. The décor of Malmaison gives an aura of a couple that was in a hurry. A repeated theme was how quickly various rooms were embellished. 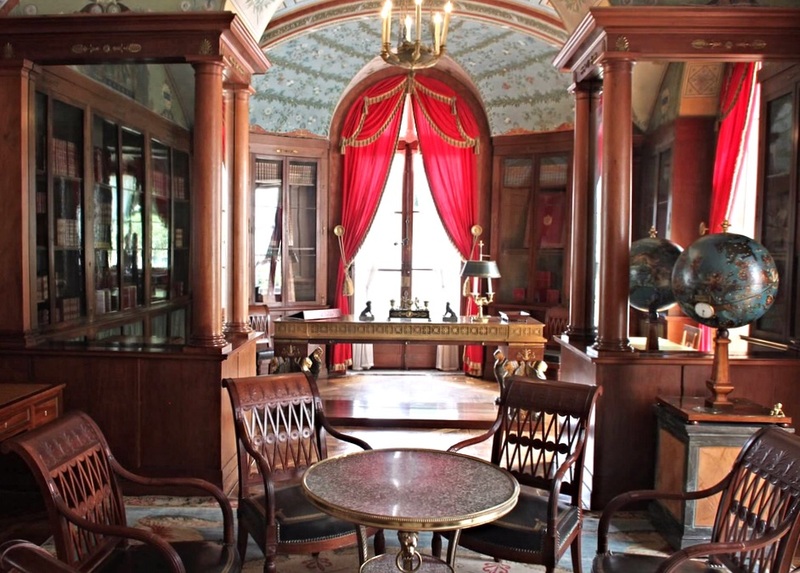 Some of the rooms were quite beautiful, such as Napoléon’s library. The downstairs has the principal reception rooms, decorated either with the actual pieces that used to be in the house or with reproductions. 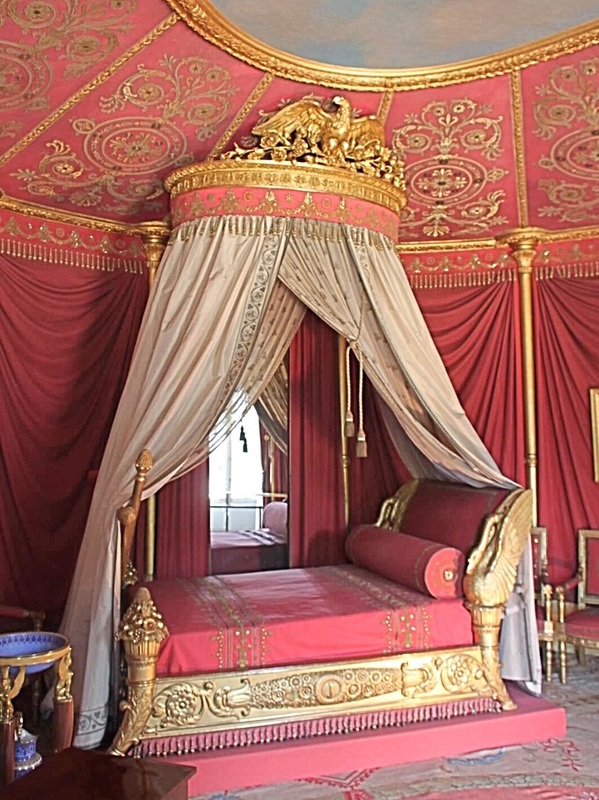 The upstairs has the bedrooms of the former Emperor and Empress as well as several rooms of memorabilia. The gardens Are a work in progress. It’s been a hot, dry summer in Paris, but I was still expecting more from the home of a woman who has even had a variety of rose named after her. What struck me most of all, however, was the realization that I was literally walking where Napoléon had walked – probably in a hurry. That alone was worth the trip to Malmaison. The expression être à la bourre (et-ruh ah lah boor) means to be pressed for time or running late. What struck me most of all at Malmaison was the realization that I was literally walking where Napoléon had walked – probably in a hurry. That alone was worth the trip. This entry was posted in Travel and tagged être à la bourre, Joséphine de Beauharnais, Malmaison, Napoleon. Bookmark the permalink.